Profile Response: Ms. Pearl, Buskers’ Bunkhouse, New Orleans, LA | How Will We Live Tomorrow? 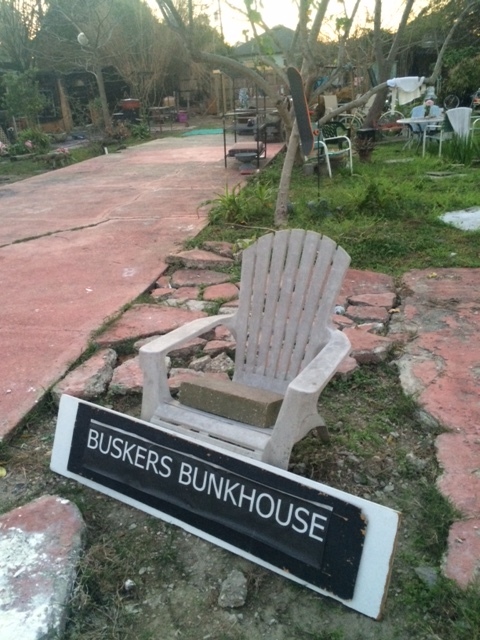 Buskers’ bunkhouse is a self-proclaimed artist refuge in New Orleans’ Bywater neighborhood; its couchsurfing profile indicates everyone is welcome. 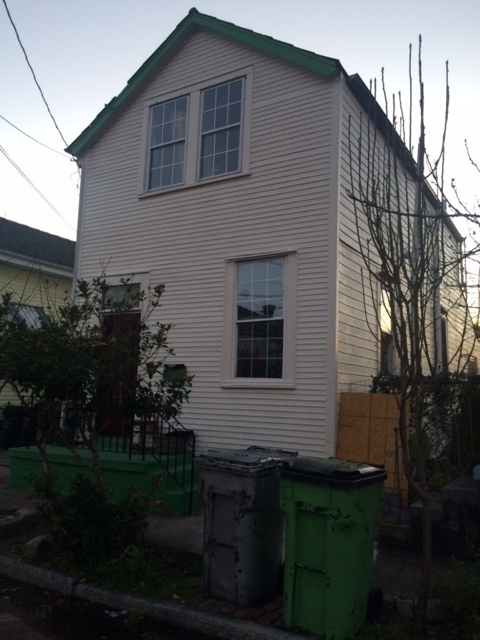 The Big Easy proved to be a city of fascinating people, yet I received few invitations for a roof over my head. So, I called Ms. Pearl, Buskers’ proprietress, if that term applies, a day in advance. She seemed surprised and half bothered that I got in touch beforehand, told me I could stay, and instructed me what to do if she was absent upon arrival. There were nine of us: Ms. Pearl; Ian and Lara, Skooch the guitar player; Mike, the raisinet man, two girls who never introduced themselves, a woman who hacked phlegm in bed during my entire stay, and me. Two weeks before, the kitchen building burned down. The charred remains filled the back corner of the lot. 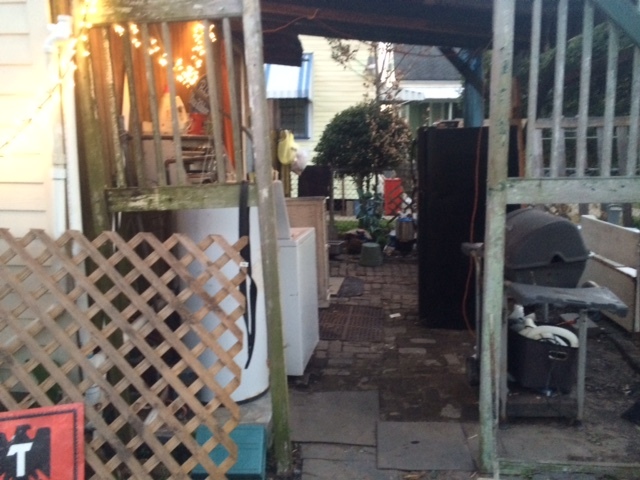 In its place, a refrigerator, sink, and washing machine sat beneath a lean-to roof sheltering the back stoop. Ian made a continuous pot of Pho on a portable propane stove. As folks scooped the broth into large bowls, Ian added more liquid, more vegetables, and more noodles. Four twenty-something’s showed up; claimed they drove straight in from Austin. The two girls had purple mascara, nose rings, and wore long striped shirts that doubled as dresses. Two guys had fledgling beards that didn’t quite mask their college scrubbed faces. Ms. Pearl told them welcome and then started a maelstrom about racism; fifteen solid minutes of rising tide, white privilege, and black anger. The discomforted quartet excused themselves to get dinner. Ms. Pearl boasted, “There’s different ways to make people leave. You don’t have to turn them out.” Although everyone is welcome at Buster’s Bunkhouse in theory, Ms. Pearl’s tongue can make that welcome rancid. After dark, we moved into the main room, which includes two sets of bunk beds and a few random chairs. Scooch cleaned his guitar and took off to play the streets. Ian explained the app he’s creating, fartpnp, which GPS locates free public bathrooms. Mike continued to pop raisinets; the girls remained silent. Ms. Pearl sat in the center of the room in a straight back chair. She wore a black fleece with a hood that enveloped her rice paper skin. The pale oval of her head, the lines of her face, her persistent tirade against the ills of our nation brought Edvard Munch’s painting, The Scream, to life. Ms. Pearl was recently served notice from the city to improve her property, a $500 fine per day until improvements are made. Before Katrina her taxes were $350 a year, now they are $1800. “The city of New Orleans is the largest owner of blighted property in the city. “Immigrants used to come here and work hard. That’s how we developed liberal ideas. Now there are no liberals. I know how Fascism happened. “Anthony Robbins was a personal coach his motto was, ‘try something. If it doesn’t work, try something else. If that doesn’t work, try something else…’ Trump does that. He’s also not tied to a party. I think that fierce party loyalty is damaging. “They assassinate five cops a week in America. “This isn’t America. America is on the other side of Canal Street. “We don’t have colors, we just have shades. “They just love their bombs, these Americans. “I’m interested in multicultural, but it only works if everyone is on board. The Muslims coming in here now are angry and aggressive. That’s not multicultural. They want to take Jackson’s statue out of Jackson Square. 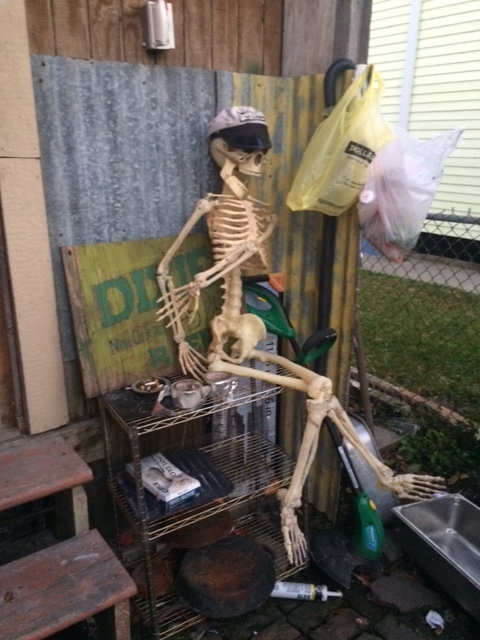 This entry was posted in Responses and tagged Busker's Bunkhouse, Ms. Pearl, New Orleans LA. Bookmark the permalink. Nice article but it is a little lacking in understanding.Most of us are traumatized Your description of the Scream was hurtful in a way and not fair, but this project of yours in important and if we can help you in any was we will. I must be tough as we do attract our share of users and If you had witnesses what I have you would feel the same way only you would be more able to write it down so don’t be so critical of a harsh tongue.You are not there to see all the things I say that inspire and comfort.. I do want to thank you and I understand , It is so important that someone write about this.I know you don’t understand some of this but I hope you do a follow up on the loss of privately owned property and what has happened. I want to share with you a statement by a famous resident. Thanks for following up on my post. One of the inevitable challenges of my journey is its survey nature; staying in many places for a short time cuts short my ability to pick up nuance. Buskers is an important statement against a world with ever less public and shared spaces.